1. 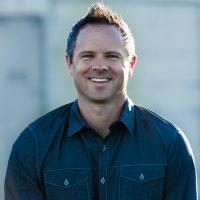 Apologetics Will Help You Serve the Church.As my friend Tom Gilson wrote in his article for A New Kind of Apologist, one key feature of apologetics is to be a servant for the church. There is a huge need for some Christians in the church to have formal training on how to best answer some of the toughest questions about God, the Bible, evil and more. I often encourage my Biola M.A. students to offer to serve their pastor by doing research for sermons, being available to counsel young people with difficult questions, and being willing to offer apologetics classes for people in the church. The first reason to get formal apologetics training is to better serve the local church. Just as every church needs a teaching pastor, worship leader, and children’s director, every church needs a trained apologist. 2. Apologetics Training Will Help Build Your Confidence. Our churches are filled with people who know truth. But there is a world of difference between knowing truth and knowing that you know truth. Confidence and conviction come not from having truth, but knowing that you have truth. I have seen my own high school students—when they get formal apologetics training and learn that their beliefs are reasonable—stand out boldly for their faith. In my experience, when people are trained in apologetics, they become much more likely to live out the truth of the Gospel because they have a newfound confidence it is actually true. 3. Apologetics Training Can Be Fun. Some of you might think this point is crazy, but I have found it to be true. I do realize that apologetics training is not always fun. We have all sat through boring lectures that don’t connect to our hearts (In all honesty, I’ve delivered a few of those myself). But in my experience, apologetics training can be invigorating. After all, apologetics wrestles with the big questions of life—Does God exist? Is there evidence the world was designed? Is there life after death? Who was Jesus? What is more interesting than considering the evidence regarding the biggest questions of all? If you don’t think apologetics can be fun, check out my “atheist encounter” from a church in Michigan. 4. Apologetics Training Helps Protect the Church from Heresy. There have been core challenges to the Christian faith since its inception. From the first century forward, heretics have challenged key ideas about the character of God, nature of salvation, the reliability of the Scriptures, and more. Some of the first Christian leaders (such as Justin Martyr) are called “Apologists” because they helped defend the faith from both internal and external challenges. And today the challenges are just as great—if not greater. Every church needs someone carefully trained in apologetics to help it follow Jude’s admonition: “Dear friends, although I was very eager to write to you about the salvation we share, I felt compelled to write and urge you to contend for the faith that was once for all entrusted to God's holy people" (Jude 3). 5. Apologetics Training is Available. We live in a golden age of apologetics. There are more books, conferences, videos, resources, and opportunities than ever before. And with modern technology, people have never had more resources at their fingertips. Apologetics training is available, accessible, and affordable. There’s no excuse! There has never been a better time to formally study apologetics. If you’re even considering it, let me suggest two resources that may help. First, if you’re a student ages 16-22, the best place to start is by going to Summit. I went as a high school student and it was a game changer. Check it out, and even consider joining me next summer for Summit, California. If you’re an adult, think about studying with me at Biola. We offer an M.A. in Christian Apologetics and are ranked #1 by The Best Schools. It’s a flexible, distance degree. We have people from all professions with all educational backgrounds. All you need is a desire to learn, and an undergrad degree in anything. If you are willing to learn, we are ready to help train you! There are, of course, many other ways to get apologetics training through ministries such as Stand to Reason, Cross-Examined, Cold Case Christianity, Impact 360, Southern Evangelical Seminary and more. The most important thing is that we train Christians who can articulate and defend the faith. What are you waiting for?